Breakfast is the meal that is intended to break the fast that has occurred while you sleep and as such is considered by many health experts as the most important meal of the day. It is extremely important to break all fasts with the correct foods. Granted, breaking an 8 hour fast while you sleep doesn’t require the same caution as breaking a longer fast such as a 3 day fast. However, to get the most out of the fast that occurred during your sleep, there are things you can do. 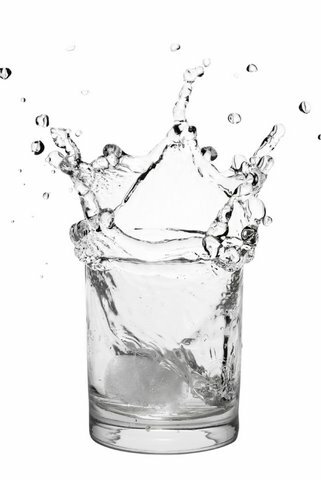 Immediately upon rising it is advisable to drink a glass of room temperature water. Leaving a glass on your night stand before you turn in for the evening is a great way to get into this habit. Once you have that glass down, head to the refrigerator for a cold glass of water. Follow that routine for a few days and you should notice a difference in your morning bathroom routine. The general purpose of a fast is to help the body clean. During sleep your body uses the rest as an opportunity to clean and repair, during this time the “garbage is collected” and is ready to be taken out. How you break that fast affects the removal of the collected garbage. Now that we have the garbage out, it’s time to think about putting fuel back in. Rather than loading with high sugar nutrient deficient breakfast foods try choosing one of the recipes below to actually supply the nutrients required to get your day going and keep you functioning at optimal levels. Could there be anything better than starting your day with chocolate and knowing that it was actually good for you? Blend all ingredients in a food processor until thoroughly mixed. Press the ingredients into a cake pan and place in the refrigerator for ½ hour to set.